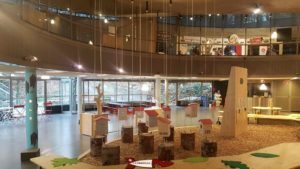 The Inventions Space (Espace des inventions in french) is located at the bottom of the Lausanne Youth Valley (Vallée de la Jeunesse in french) on the shores of Lake Geneva in Vidy. It was built at the 1964 national exhibition (Expo’64) with rounded concrete shapes as was fashionable at the time and a rather unusual roof in the shape of a huge parabola and used as a sundial. 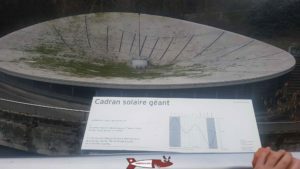 The roof of the invention space that acts as a sundial. 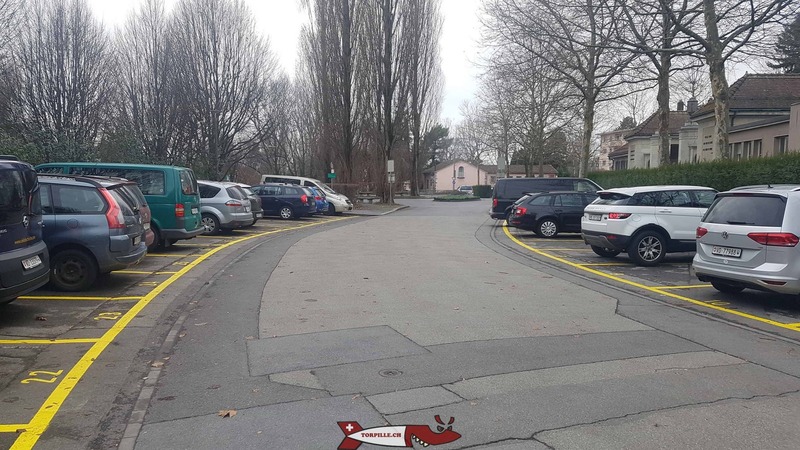 Parking at the bottom of the Youth Valley next to the roundabout of La Maladière. Under 16 years old, Student, AVS: 5 francs. The start of the exhibition during the exhibition entitled “L’Arbre” (The Tree). The Invention Space is an exhibition dedicated to technology that is unique in its kind. 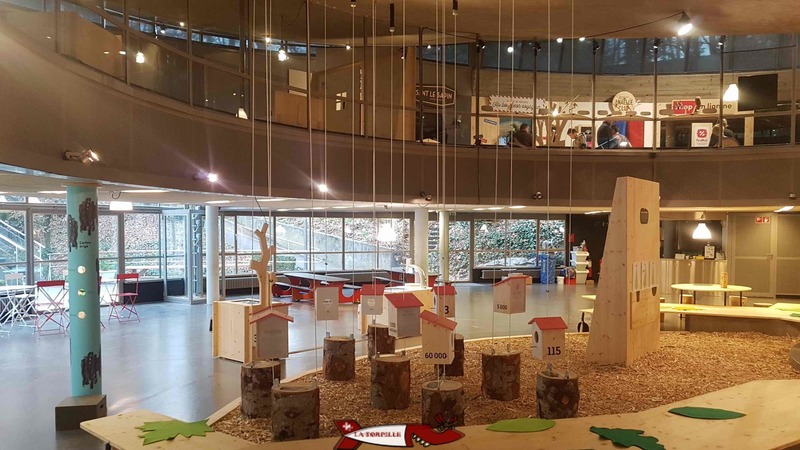 It is simply the best interactive space for children in French-speaking Switzerland, so it is highly recommended by the Torpille team. 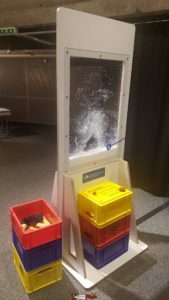 A workshop that allows you to familiarize yourself with the concept of static electricity on the upper floor during the “T’es sûr-e?” (Are you sure?) exhibition. 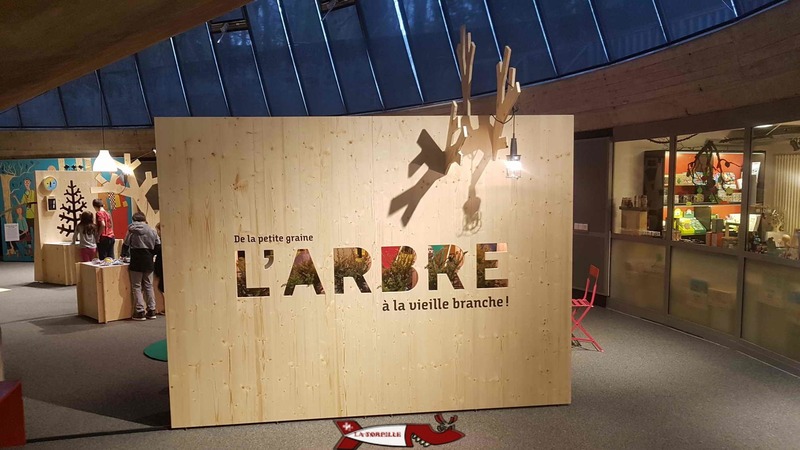 The lower and upper levels during the “L’Arbre” (The tree) exhibition. 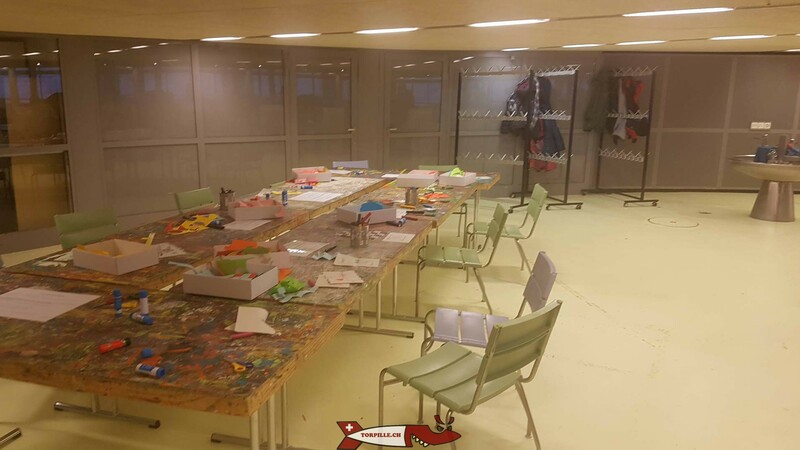 The lower floor offers a friendly DIY workshop for each exhibition. The invention space has a Youtube channel on which you can see some children’s creations.